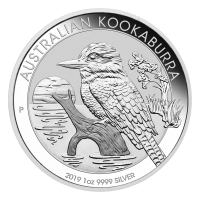 Purchase your 1 oz 2019 Australian Kookaburra silver coin from our online store today, for the lowest price on the net. Perth Mint brings us the 2019 addition to their popular Kookaburra series, featuring new designs on both the reverse and the obverse! The breathtaking reverse design features a watery landscape where a kookaburra awaits the sunset, perched atop a protruding tree stump, with an island of reeds and a tree in the field. 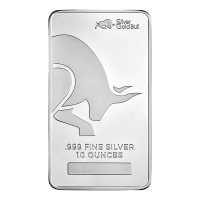 Also on the reverse, the coin’s title, year of issue, metal weight, content and purity, set within a light border around the feature. The obverse feature is Jody Clark’s brand new, detailed effigy of Elizabeth II in profile, seen wearing her magnificent State Diadem. 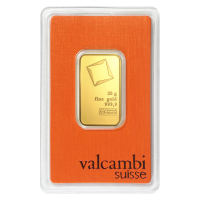 Also on the reverse, Elizabeth II’s name, along with the country of origin and the coin’s unique denominational value. The Australian Laughing Kookaburra is not only a sight synonymous with the Australian outback, it’s also the largest species of all the kingfishers, reaching up to 17” or 42 centimetres in length. 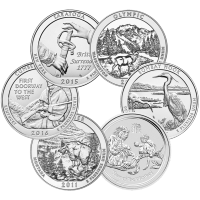 Celebrate the beautiful native fauna of Australia and diversify your holdings with a 1 oz 2019 Australian Kookaburra silver coin today. Reverse A kookaburra at rest on a piece of wood protruding from the water, framed by the coins title, year, weight and purity. A kookaburra at rest on a piece of wood protruding from the water, framed by the coins title, year, weight and purity. 1 oz 2019 Australian Kookaburra Silver Coin Purchase your 1 oz 2019 Australian Kookaburra silver coin from our online store today, for the lowest price on the net. Perth Mint brings us the 2019 addition to their popular Kookaburra series, featuring new designs on both the reverse and the obverse! The breathtaking reverse design features a watery landscape where a kookaburra awaits the sunset, perched atop a protruding tree stump, with an island of reeds and a tree in the field. 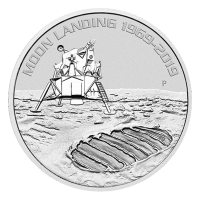 Also on the reverse, the coin’s title, year of issue, metal weight, content and purity, set within a light border around the feature. The obverse feature is Jody Clark’s brand new, detailed effigy of Elizabeth II in profile, seen wearing her magnificent State Diadem. 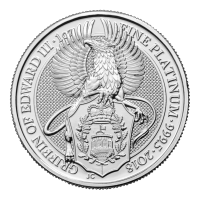 Also on the reverse, Elizabeth II’s name, along with the country of origin and the coin’s unique denominational value. The Australian Laughing Kookaburra is not only a sight synonymous with the Australian outback, it’s also the largest species of all the kingfishers, reaching up to 17” or 42 centimetres in length. 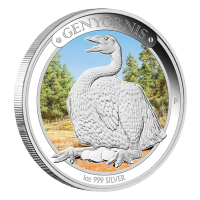 Celebrate the beautiful native fauna of Australia and diversify your holdings with a 1 oz 2019 Australian Kookaburra silver coin today.